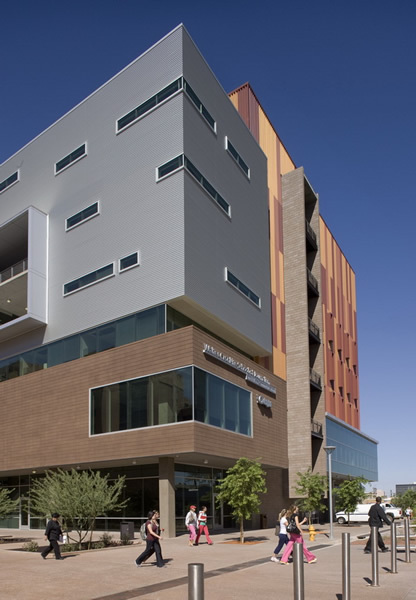 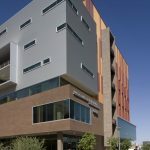 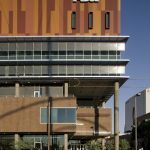 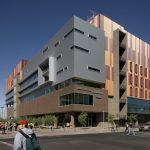 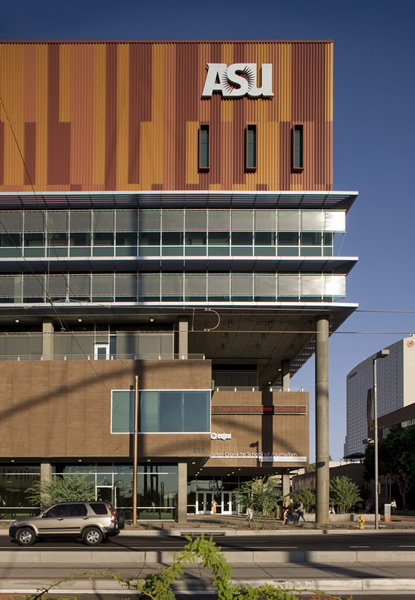 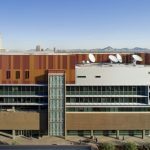 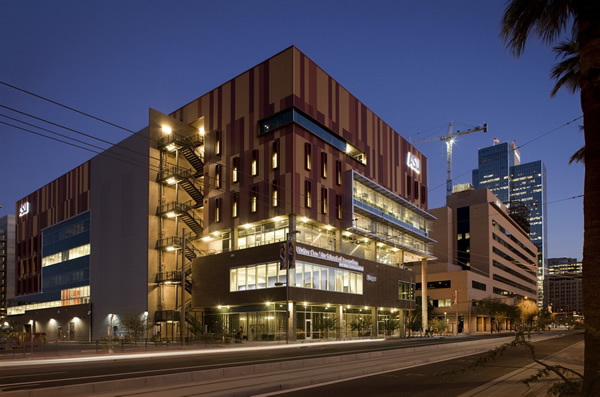 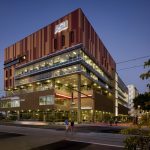 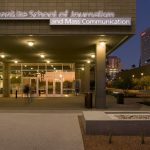 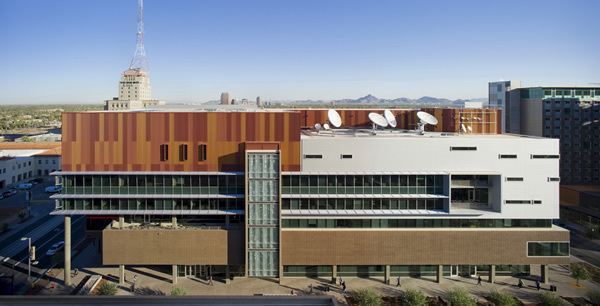 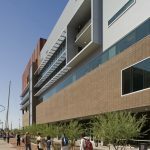 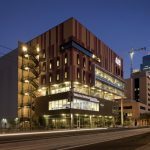 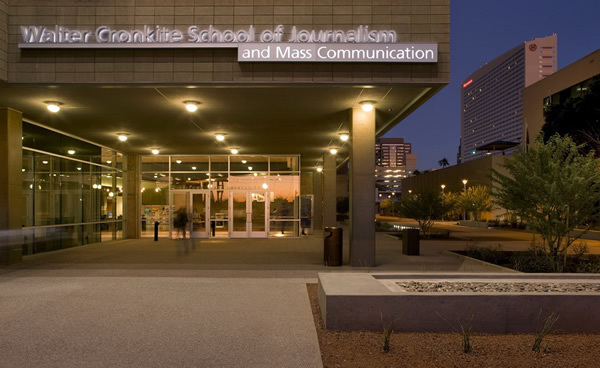 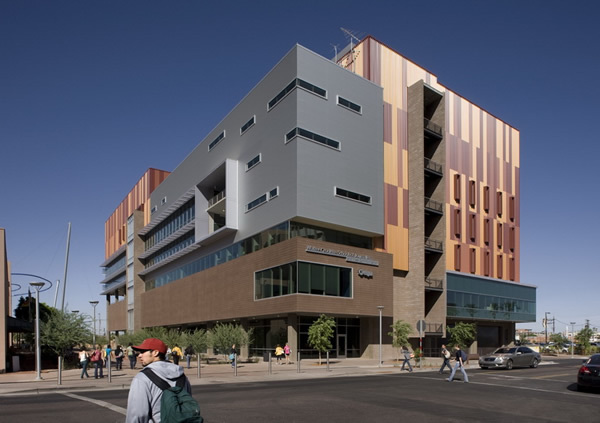 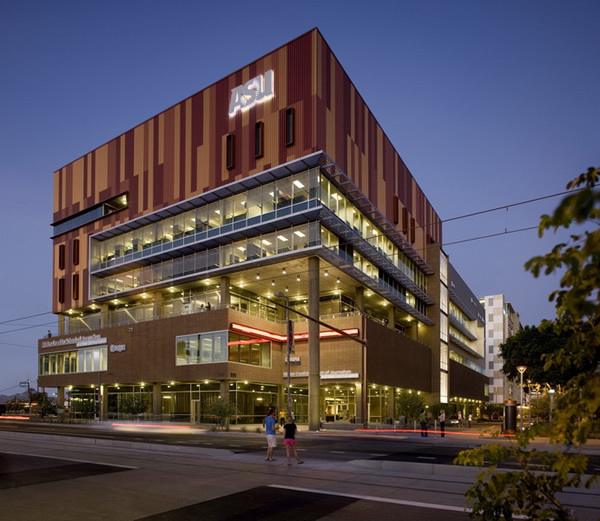 ASU Walter Cronkite School of Journalism – Rhino Masonry Inc. 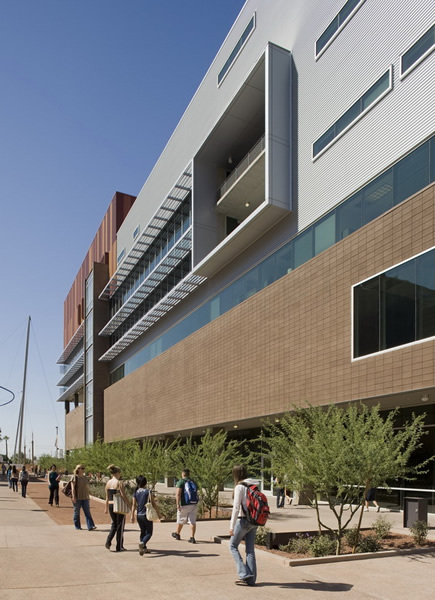 The integrally colored ground-face units used on the second floor veneer of this building provide a solid base to the contemporary elements around them. 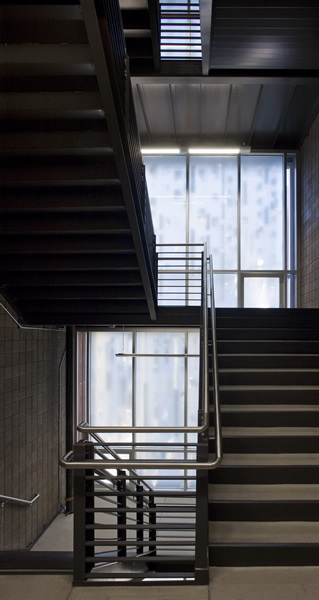 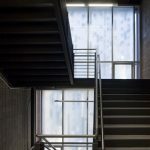 The structural integrity of the masonry framing the stairwells is displayed in their dramatic cantilevers. 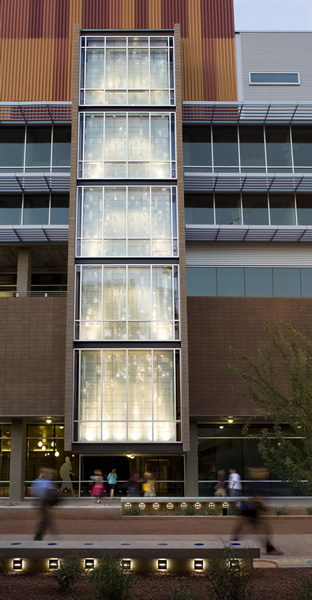 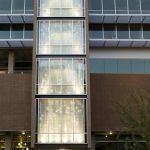 Reaching a height of more than ninety-six feet, this structure was built within the demanding access constraints of downtown Phoenix.